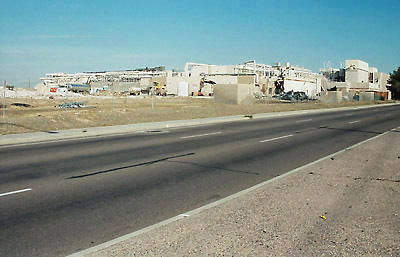 Looking West along Broadway Road. Viewed from the South West corner of Broadway and Dobson Roads. South West corner of Broadway and Dobson Roads. 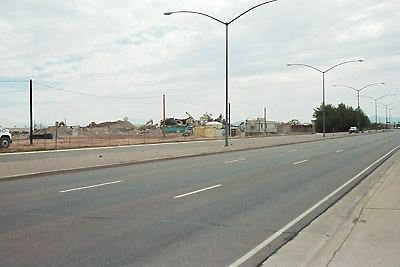 Looking East down the West lane of Broadway Road. 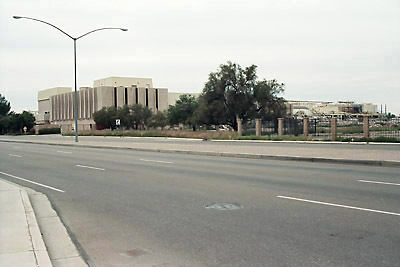 Looking East along Broadway Road. 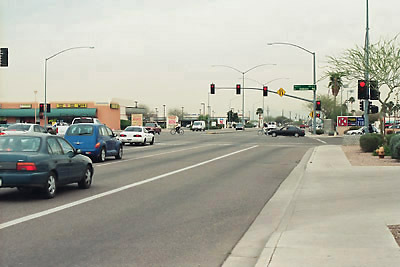 Looking North on Valencia - Broadway Road is ahead. 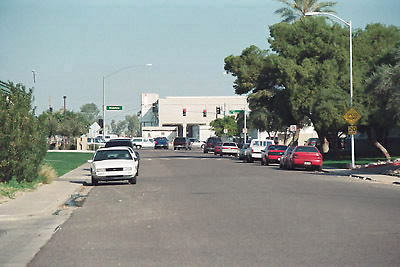 This was the West entrance to the facility off Broadway Road.